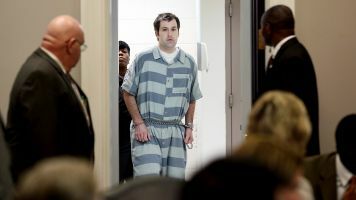 Despite a federal judge sentencing a former S.C. police officer for shooting and killing an unarmed man, convictions are still rare for police. A U.S. district judge in South Carolina sentenced a former police officer to 20 years in prison for shooting and killing Walter Scott, an unarmed black man, in April of 2015. Former North Charleston police officer Michael Slager pleaded guilty earlier in 2017 to a federal civil rights charge of excessive force. The judged ruled that Slager committed second-degree murder and obstruction of justice. His initial murder trial in 2016 ended in a hung jury. Slager was later charged by the Department of Justice with federal civil rights offenses. He entered a plea agreement admitting to using excessive force. It's rare for a police officer to be charged or convicted of a fatal on-duty shooting. According to data from criminologist Philip Stinson, there are close to 1,000 officer-involved shootings in the U.S. each year. Since 2005, 84 officers have been charged with murder or manslaughter in fatal on-duty shootings. Nearly 36 percent have been convicted. Legal experts say convictions are rare because, many times, it's hard to dispute an officer's decision-making in a heated moment. "There's basically a federal standard that was laid down in Graham v. Connor, which is a 1989 U.S. Supreme Court ruling that says you have to look at it through the eyes of a reasonable officer on the scene," criminologist David Klinger said during an appearance on "PBS NewsHour." "Consequently, when you have jurors who are novices getting educated, a good defense attorney makes an argument, and the jury says, oh, that make sense, I understand that that officer could have been fearful or could have perceived that his or her life was in jeopardy." The judge in Slager's case said that he'll have two years of supervised release after his time in prison and will also undergo mental health counseling.